We are delighted to have receuived and be able to share the following information. 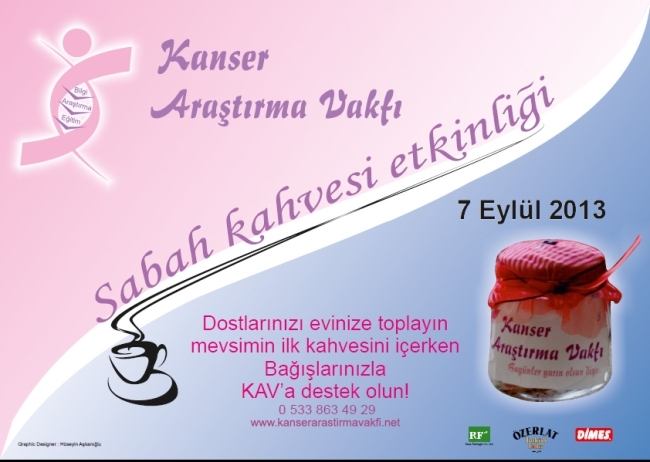 The Cancer Research Foundation (KAV) has rolled up its sleeves once more in order to repeat the TRNC’s biggest Morning Coffee event on Saturday September 7th 2013.
heart in the fight against cancer’ the second Morning Coffee is to be held on Saturday the 7th September 2013. The Foundation is calling for people to host Morning Coffees in their own homes for their friends and to ask them for donations, which will be collected in specially prepared, recycled donation jars. With the Morning Coffees which are planned for the first Saturday of each season, KAV aims to spread information about the fight against cancer and start awareness about recycling. 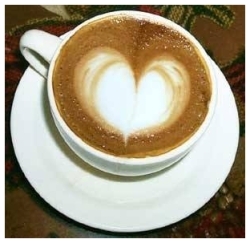 KAV is therefore inviting people in all areas of the TRNC to host Morning Coffees in their own homes. Anyone interested in hosting an event can get more information by calling 05338634929 or by e-mail on rezanfahrioglu@yahoo.com.